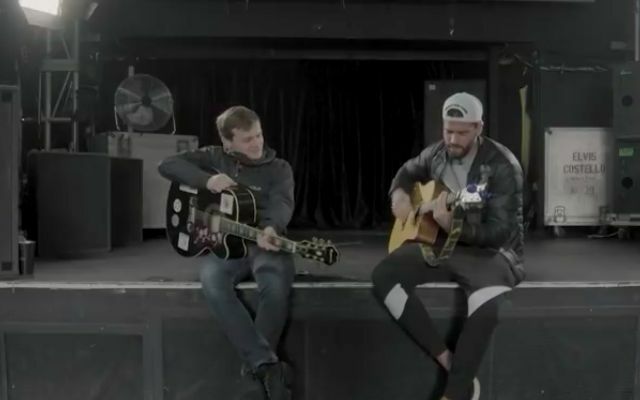 Alisson had the opportunity to showcase his musical talents as he sat down with popular Liverpool singer Jamie Webster for a fascinating guitar session. Liverpool fans have become accustomed to not only the Brazilian’s excellence between the sticks, but also his love of music behind the scenes since his £67million move from Roma in the summer. He was recently given the chance to meet up and discuss his hobby aside from football with Webster, who has become well-known through his regular performances at District. Besides exchanging songs, the pair also discussed the Reds’ pursuit of the Premier League title, with Alisson reaffirming the club’s desire to give something back to the supporters.